On the morning of April 20th, 1914, the company attacked. National Guard units (as well as company guards in National Guard uniforms) opened fire on the camp with Gatling guns from the hills above. The tents, secretly soaked in kerosene the night before by company agents, ignited in a firestorm. The miners fought back, and the firefight lasted all day. By late afternoon, the company brought in reinforcements, hired guns, to swing the battle in their favor. Later in the evening, a passing train stopped on the tracks in front of the National Guard’s machine gun nests, providing cover for the escape of the miners, and their families, before the company’s mercenaries came into the camp, looting and razing it to the ground. 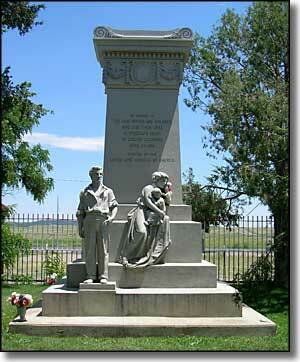 This entry was posted in History, Labor Day, Politics and tagged Class Warfare, Colorado, Labor, Labor Day, Ludlow Massacre, Social Commentary. Bookmark the permalink.